Jay Wright is president and general manager, Vuforia in the PTC Technology Platforms Group. In this role, Mr. Wright has global responsibility for driving the Vuforia business and maintaining Vuforia as the leading software platform for development of augmented reality applications. 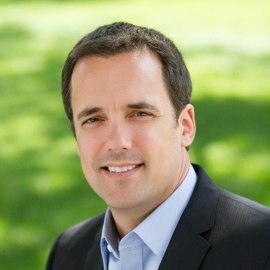 Mr. Wright joined PTC in November 2015 upon PTC's acquisition of the Vuforia business from Qualcomm Connected Experiences, Inc. Since joining Qualcomm in 2008, Mr. Wright held multiple roles, beginning in Qualcomm's Corporate R&D Division where he had global responsibility for commercialization of Qualcomm's non-radio technologies. Under Mr. Wright's leadership, the Vuforia technology and product were conceived and built through a combination of organic development and acquisitions. In 2012, the Vuforia project was put into a standalone business unit for which Mr Wright served as the general manager. Mr. Wright's prior experience spans multiple startups focused on software for mobile devices. His companies have spanned various innovations in mobile computing, ranging from development tools for Apple's Newton, to app store solutions for Palm Pilot and Windows CE PDAs, to enterprise software for use in retail environments. In addition to being a product leader, Mr. Wright has a software development background and has a passion for developer tools. As an innovator and inventor, Mr. Wright holds 6 US patents. Mr. Wright earned a bachelor of arts in quantitative economics and decision sciences with a minor in computer science from the University of California, San Diego.